CES - quality not quantity? The CES attendance figures have been announced – but only 110,000 people made it to the world's most prominent consumer tech show, meaning attendance has fallen a long way short of prior years. 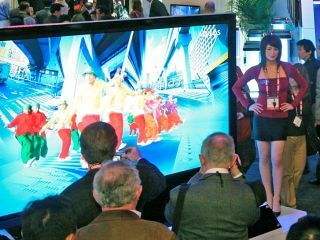 It was expected that CES 2009 would attract as many attendees as last year's show – which brought in 130,000 punters. However, this year saw a decline of 20,000 attendees – a significant drop-off. Senior Vice-President of Industry Affairs, Jason Oxman, had told major news sources that the figure should be higher than 130,000 after the early (free) registration was concluded, but in fact it was not even close. "It is essential to have the right people attend CES. Board members reported getting more business done this year than at any prior show," said Shapiro. "…Quality trumps quantity when it comes to exhibitors and attendees conducting business at CES." However, the figures for 2007 (140k) and 2006 (152k) dwarf the 2008 total, with many analysts suggesting that the credit crunch also bit hard into the expenses of the companies that normally send their staff.